S.5377 (Bonacic) would allow casinos to loan money to gamblers “to enable [them] to take part in gaming activity.” Such loans would be permissible in accordance with rules to be developed by the Gaming Commission. S.5377 would also allow casinos to cash checks for patrons who wish to use the proceeds of those checks for gambling purposes. Currently, Racing, Pari-Mutuel Wagering and Breeding Law § 1339(1)(a) makes it illegal for a gambling facility to “make any loan, or otherwise provide or allow to any person any credit or advance of anything of value…to enable any person to take part in gaming activity as a player.” This statute reflects a common-sense understanding that gamblers would be more likely to bring financial ruin on themselves if they could borrow money from casinos. Aside from helping casinos to further enrich themselves at the expense of their patrons (which is not a valid public policy objective), there is no reason to change this law. 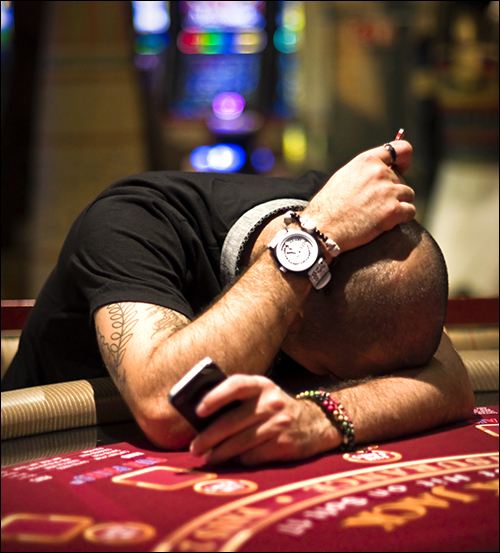 Gambling addiction is a serious problem for individuals, families, and communities. Bill S.5377 would enable rich casino owners and operators to prey upon the weaknesses of New Yorkers and others who struggle with gambling addiction. The Conservative Party urges the State Legislature to reject this legislation.